On one of the coldest nights of the season (it’s minus 2 with a wind chill of of minus 20 as I write this), I feel the need to remember warmer — and greener — times. 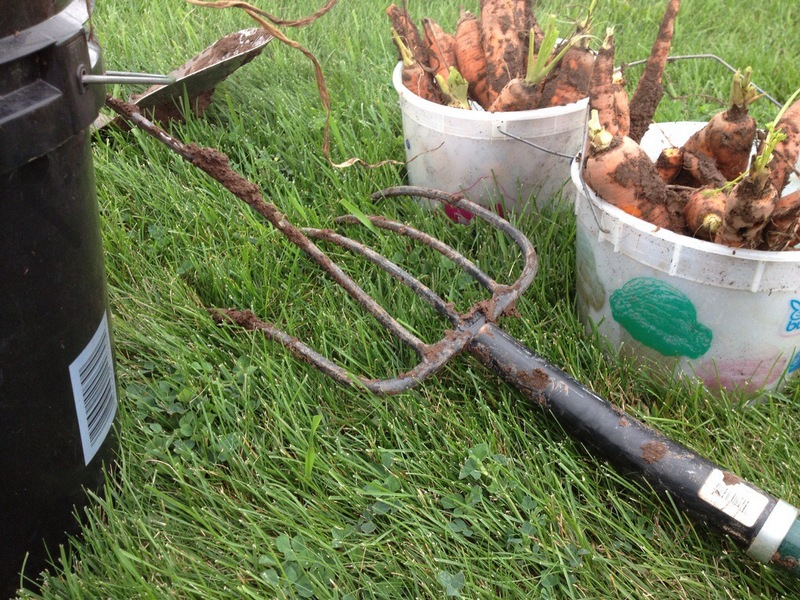 So it seems appropriate to write about something good in my garden this past summer. My biggest experiment was planting greenhouse tomatoes in February. Although I love my volunteers, in this case, I think maybe I should (gasp!) 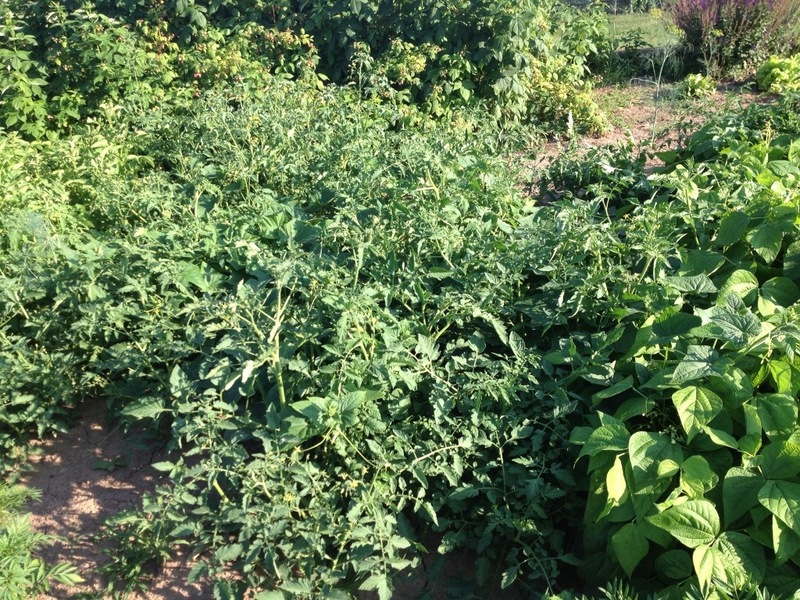 pull a few tomato plants. Can you even tell in the middle of the photo above that there are cucumber plants growing there? If I didn’t know it, I wouldn’t be able to see them. 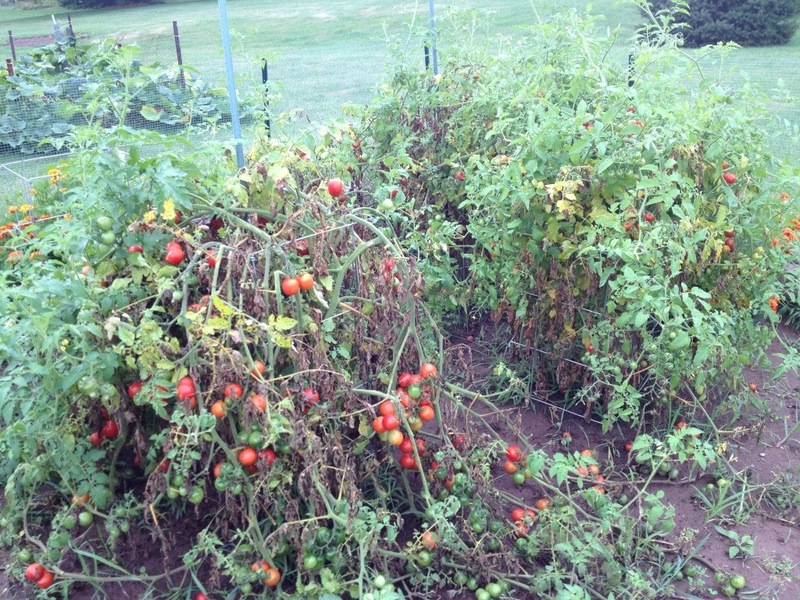 Of course, if some of my green tomatoes would turn red, it would make the decision much easier!